Almost 50 people attended the ‘HateBrakers in History’ undergraduate research conference at the Missouri History Museum this past Sunday, where six Webster students (and one SIUE student) presented original papers on historical figures who fought against hatred, xenophobia, and oppression. 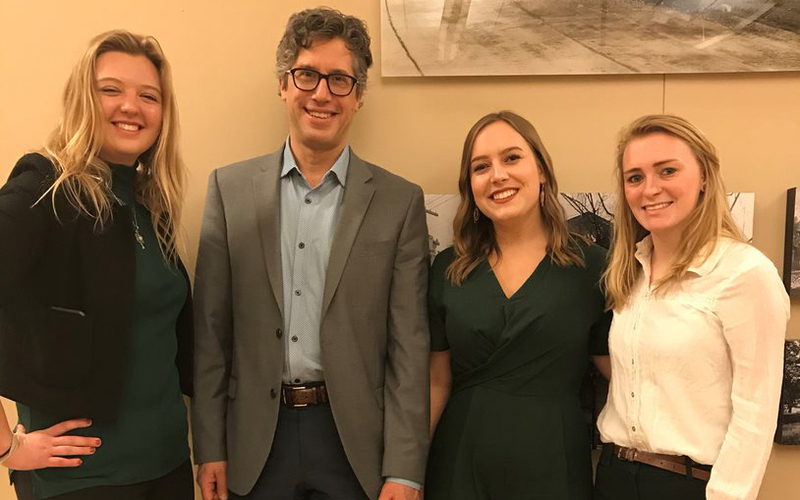 The conference was organized by professor Warren Rosenblum, history, politics & international relations department chair, in conjunction with the non-profit organization New Conscience Inc. and the Missouri Historical Society. HateBrakers is an innovation of New Conscience, Inc. and aims to reduce hate in the St. Louis community and around the country. The presentations explored the lives and legacies of people who sought to defuse hatred, prevent violence, and heal the wounds of racial, ethnic, and social conflict. Susan Margolis Balk presented as the keynote speaker. She is the president and founder of Hatebrakers/New Conscience, Inc. 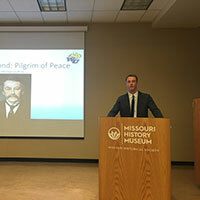 The conference was organized by Warren Rosenblum, professor of history and chair of the History, Politics, and International Relations Department in Webster's College of Arts & Sciences, in conjunction with the Missouri History Museum and Hatebrakers.